Nicola is a Partner and Head of Business Risk and Compliance at CFG Law and has long been one of our dedicated client champions. Having joined the team as a Solicitor back in 2000, she has gone from strength to strength and is now one of our most trusted employees. She is a true people person and helps to look after our clients with extreme efficiency and a smile to match. She has an ability to put clients at ease with her compassionate and understanding nature. 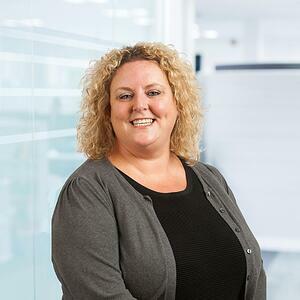 Nicola prides herself on leaving no stone unturned and maximises the number of damages claimed to make sure clients get the highest level of compensation in as short a time as possible, to help them to get on with their lives and try to put the traumatic events behind them. Understanding clients’ needs to establish the best possible outcomes. Ensuring each client is treated as an individual, regardless of the value of their claim. Methodical in her approach to cases and an organisational wizard! The team atmosphere where all colleagues work together to help put clients’ needs at the forefront of everything we do. Speaking and engaging with different people from all walks of life. Fighting for justice for everyone, no matter their background or circumstances. Obscure accident circumstances involving either man, animal and/or machine! Developing injury pathways to ensure clients’ symptoms are not overlooked and better recovery outcomes are achieved. “I thought Nicola Hughes was very good at her job… professional, friendly, communicates well, specialist, honest and successful. Also, she always got back to me with anything she received or heard.” J.A. “Nicola always kept me well informed and up to date with everything. Due to her hard work and friendliness, she always made me feel that I was her only client. I couldn’t have wished for a better person to deal with my case.” K.F.